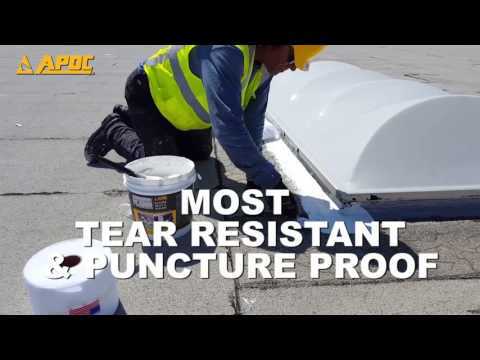 APOC® 483 Polyester Reinforcing Fabric stitch-bonded polyester is a high quality and durable reinforcement used in roof restoration systems, repair of roof splits, and base flashing details. APOC® 483 is typically used with asphalt emulsion and/or solvent-based cold process systems. It can also be used as a reinforcement for cements, neoprene sealants, asphalt coatings, white roof mastic and white elastomeric coatings. APOC® 483 is a soft polyester that will readily conform to rough spudded gravel surfaces and standing seam metal roof decks. It is also much easier to handle and apply properly than other soft polyester sheets.